Classic Legends says it received an overwhelming response for Jawa Motorcycles and that bikes are sold out till September 2019. Thus, online bookings for the Jawa and Jawa Forty-Two will close effective midnight 25th of December. Meanwhile, dealerships will continue to take bookings for deliveries beyond September. Online bookings for Jawa Classic and Jawa Forty-Two will end on 25 December. Dealerships will continue to take bookings for deliveries beyond September. Jawa Motorcycles made a comeback in the Indian market in November when Classic Legends launched the Jawa Classic and Jawa Forty-Two at ex-showroom Delhi prices of INR 1,64,000 and INR 1,55,000 respectively. 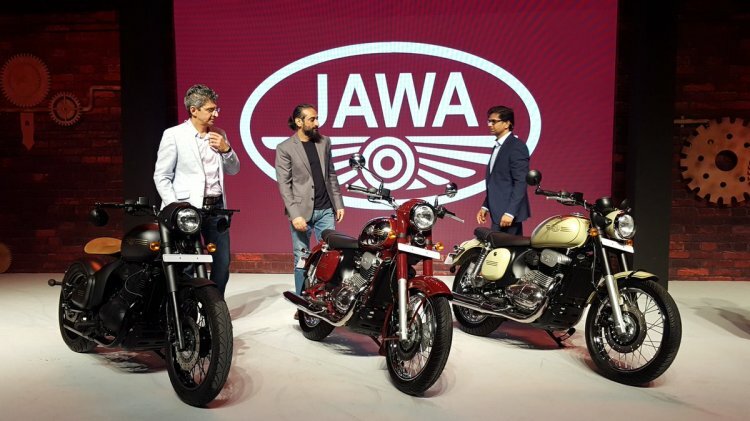 The two-wheeler brand recently announced the rear-disc / dual-channel ABS variants of the Jawa Classic and Jawa Forty-Two, priced at INR 1,72,942 and INR 1,63,942 (ex-showroom Delhi) respectively. With such a tremendous response, it is my duty to inform the customers that we are sold out till September 2019 based on the current online bookings. Authenticity and honesty have been the hallmark of the brand. With such a large booking order, Jawa believes it is only fair to announce the waiting period for those with confirmed bookings. The current waiting period for online bookings already extends till September 2019 however the deliveries will start from March 2019 as per the booking sequence. The company will soon send out a communication directly informing every customer about their delivery timeline. We will work on ramping up our production to reduce the waiting period, but quality is paramount for us and we request patience and understanding from Jawa fans. The wait we promise will be worth it. Classic Legends is now focussing on its getting the retail experience right, and continuing with the planned roll-out of 100+ dealerships that are on schedule to open across the country by February 15, 2019. Classic Legends inaugurated two dealerships in Pune, followed by three in Bengaluru and five in Delhi-NCR. Given the continued demand for bookings, all dealerships will be open for test rides and we would encourage our buyers to come experience the Jawas and build a relationship with us. While, the dealerships will continue to take bookings for deliveries beyond September, we believe it was our responsibility to transparently set delivery expectations for bookings done at dealerships. We invite customers to walk into our showrooms for further bookings.